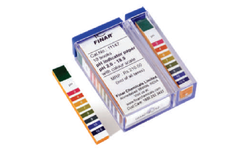 Our product range includes a wide range of ph indicators and papers and test strips. Citric acid is present in trace amounts in citrus fruits and added to food as a preserving component, flavoring and antioxidant. It is also used in cleaners (removes hard chalky deposits e.g. in coffee machines and boilers) and pharmaceuticals. 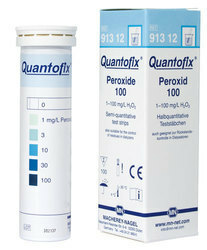 Range of application for the QUANTOFIX® Total acid test strips are especially for food- and beverage industrie. QUANTOFIX® Total acid test strips can be evaluated both visually and reflectometrically with the QUANTOFIX® Relax (REF 913 46).